Panamerican Stadium. Lagos de Moreno. August 28, 2011. 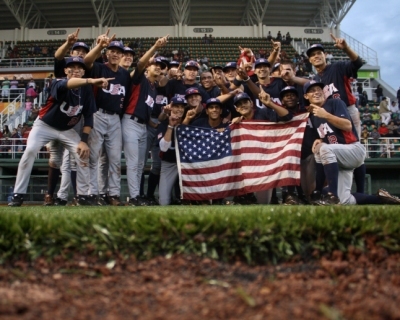 Team USA had defended successfully its title at the 2011 IBAF 16U Baseball World Championship. They shut out Cuba 9-0 in the final game on Sunday afternoon at Panamerican Stadium in Lagos de Moreno, Mexico. It was never the expected close game between the arch rivals, as the United States decided things quickly in the beginning and cruised to an easy victory. Earlier Japan had beaten Mexico 8-7 one hour earlier in a thrilling bronze medal game. Doubles by Taishi Bamba and Toshiki Fukuda had decided the outcome in the bottom of the seventh inning, as the hosts had to settle for fourth place in the final standings. Chinese Taipei and Venezuela finished in fifth and sixth.